The release of Christie Blatchford’s book at 9 a.m. this morning provided a good opportunity to query the McGuinty government on their plans for the dispute. Please find below the news release regarding the questions I asked in the Ontario Legislature, as well as the draft Hansard transcript. Is Blatchford’s ‘Helpless’ the final word on Caledonia? Queen’s Park – On the launch of renowned journalist Christie Blatchford’s chronicle of the land occupation in Caledonia, Haldimand-Norfolk MPP Toby Barrett asked Premier McGuinty if this book represents the final chapter. In true McGuinty fashion, the Premier passed the buck to Attorney General Chris Bentley who ducked the question and took the time to speak about land claims rather than Barrett’s inferred questions about law and order. Following question period Barrett said that the Minister is naive in thinking the Ipperwash Report can resolve the Caledonia crisis. Mr. Toby Barrett: To the Premier: Christie Blatchford launched her book today, chronicling the sorry saga of the occupation of Douglas Creek Estates in Caledonia. 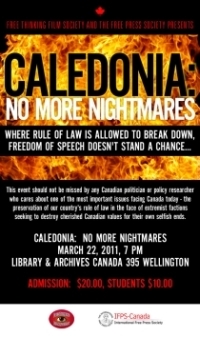 Her book is titled Helpless: Caledonia’s Nightmare of Fear and Anarchy, and How the Law Failed All of Us. Some questions, Premier: Does this wrap it up? Is this the final say on what happened, on what went wrong down in Caledonia? Another question, Premier: Now will you get to the bottom of this? Hon. Dalton McGuinty: To the Attorney General. Hon. Christopher Bentley: We are working very hard. We’re working very hard with surrounding municipalities and with Six Nations and we’re working to engage the federal government more actively in a resolution of issues that have been around for more than a century. I want to recognize the hard work that has gone into this already, but I say we need to find a solution for the future. The fact of the matter is, before the events that have given rise to some of my colleague’s questions, people from both communities, from all the communities, lived together, worked together, played together—and they do to this day. Although it will not be easy to find, there is a resolution here that we’re going to work very hard to uncover. … Attorney General, these are serious allegations. Is this the final say? Is this how the record stands? Is this how the record will stand, or will you now call a public inquiry? Hon. Christopher Bentley: My colleague opposite will remember that there was a public inquiry. It was called the Ipperwash inquiry, and it was a result of a terrible tragedy that resulted from a different approach. That inquiry, which took several years and contained many recommendations, is really the starting point for a better, more fruitful approach to the resolution of issues. Let’s be clear that none of these issues are easy, otherwise they would have been resolved. The land claim issues, which the federal government must resolve, have been around for more than a century—more than a century. There’s no cookie-cutter approach; there’s no cookie-cutter answer. The Linden inquiry has good advice; we’re following it. We’re working with everybody to find a resolution to this very challenging situation. 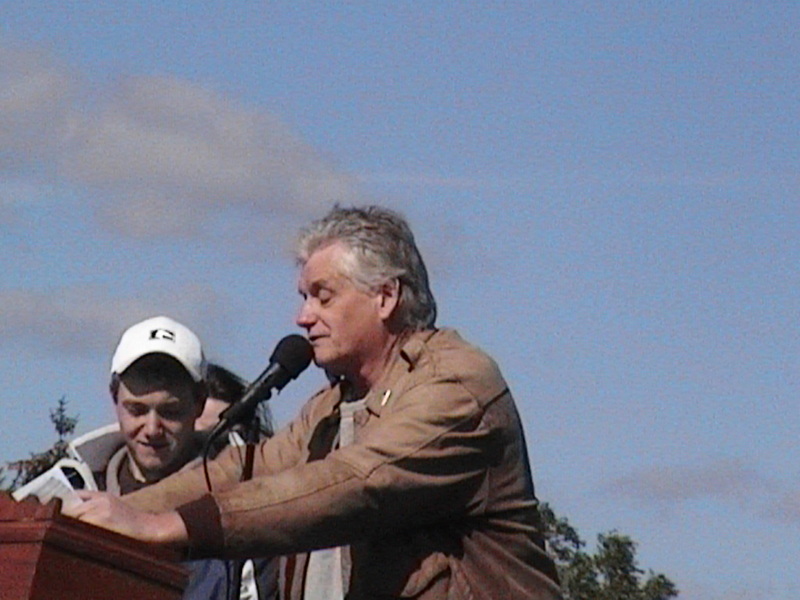 NOTE: Toby Barrett is the author of the Feb 11/08 Haldimand Proclamation for Peace, Order and Good Government. 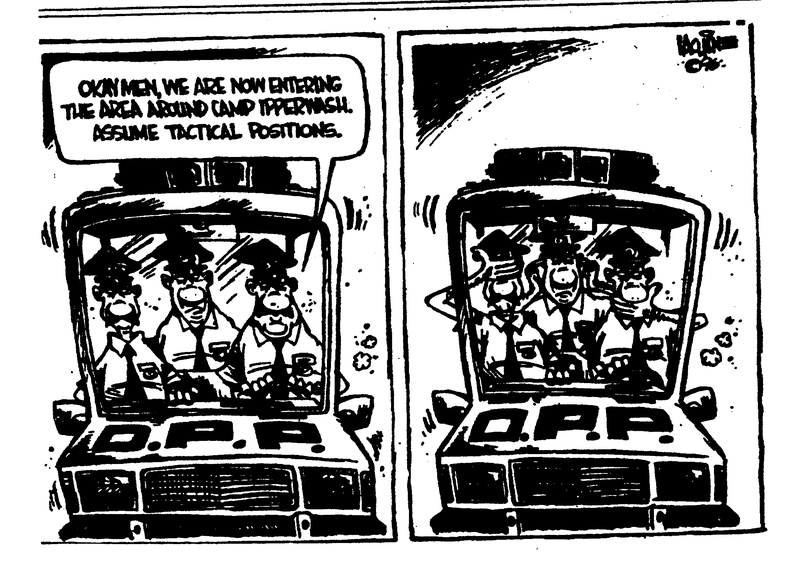 OPP Ipperwash editorial cartoon. Click image to enlarge. On March 14/07 Mark Vandermaas, Gary McHale and Ipperwash activist Mary-Lou LaPratte presented the Ipperwash Papers project at a news conference held in the Queens Park Media Studion. The Ipperwash Papers is a collection of more than 400 pages of documents that were never entered into evidence at the Inquiry – documents that show how OPP/DND refusal to enforce the law led to escalating violence that victimized residents in a nearly identical fashion to those in Caledonia, leading eventually to the death of Dudley George. Sadly, not one MPP has ever risen in the Legislature to denounce the government’s ‘Ipperwash Inquiry’ defence since we first presented the Ipperwash Papers project at Queens Park even though various McGuinty cabinet members through the years have deflected calls for an inquiry and justice by citing the methodologically-flawed recommendations of the inquiry. One must wonder how we can ever find meaningful solutions while the Opposition continually refuse to expose the terrible truth about the Ipperwash Inquiry? This entry was posted in Caledonia Inquiry, Caledonia Victims, Chris Bentley, Helpless, Helpless - News, News, Politicians, Premier Dalton McGuinty, Toby Barrett and tagged Ipperwash Inquiry Defence, Ipperwash Inquiry Policy Fraud. Bookmark the permalink.